Licensed in 4 states and a Broker in 3, Troy Palmquist began his accomplished real estate career in California in 2005. 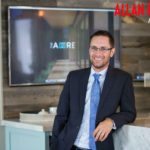 He has garnered valuable sales and operations experience, and proven himself as a top-ranked residential specialist who’s served the needs of home buyers and sellers throughout Greater Los Angeles as well as the Las Vegas, NV, Utah and Idaho markets. As the founder of The Address, a unique real estate brokerage firm headquartered in Ventura, CA, Troy created something special – a community hub where homebuyers, property owners, neighbors and friends can drop by to discuss their real estate goals over a handcrafted cup of coffee or Kombucha. It’s also not unusual to find an industry seminar on the latest design trends underway, or a fundraiser in the works to support the local Boys & Girls Clubs. Troy has always prided himself on his personal, hands-on approach – and the creative style and quality of The Address reflect that. His leadership coupled with his marketing, sales and transactional expertise make him an invaluable partner and resource for any client. Tenacity and outside-the-box thinking have always served him well, whether working for top brokerage firms, or a leader in distressed assets. Prior to launching The Address, he put 55 properties into escrow in just one week, and in 2016, he sold over 1,000 homes. Every buyer he works with, and every listing he takes on are serviced with the utmost level of attention and diligence. Transactions are his specialty, but relationships and his clients’ best interests are his priority. If 50 percent of buyers found their home online, shouldn't we do our best to make sure we're part of their search?